In 2014, Mike was appointed to drive CGI’s global efforts to develop and expand the company’s portfolio of industry-leading intellectual property (IP) solutions in all geographies, markets, and verticals. In this role, he leads CGI’s IP strategy, which aligns CGI’s business solutions and technology enablers with CGI’s end-to-end services to accelerate clients’ digital transformation. In 2017, Mike’s role expanded to include overseeing CGI’s Global Marketing function, helping business units deliver strategic insights to best support their clients. Mike also serves as a member of the CGI Executive Committee. Prior to these appointments, Mike led various aspects of CGI’s operations in the United States, including serving as Senior Vice President of CGI’s Western U.S. operations. In this role, he was responsible for the company’s operations in 13 states, working with clients in financial services, telecommunications, state and local government, high tech, and other industries to deliver business and IT consulting, as well as managed services. A member of CGI since 1996, Mike also has overseen CGI’s strategy development, offering development and marketing for the state and local government sector in the U.S., where CGI is one of the top providers of IT services in the nation. In addition, he served as an account executive within the New York metro area and southeast U.S., overseeing some of CGI’s largest application maintenance and consulting engagements and leading its work for some of New York City’s most critical initiatives. 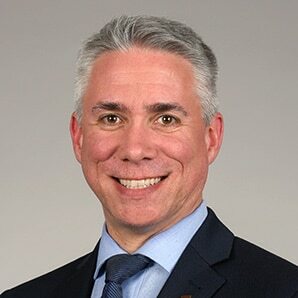 Mike holds a Bachelor of Science in Policy and Management from Carnegie Mellon University and regularly engages in community organizations, such as the Share our Strength “No Kid Hungry” program.